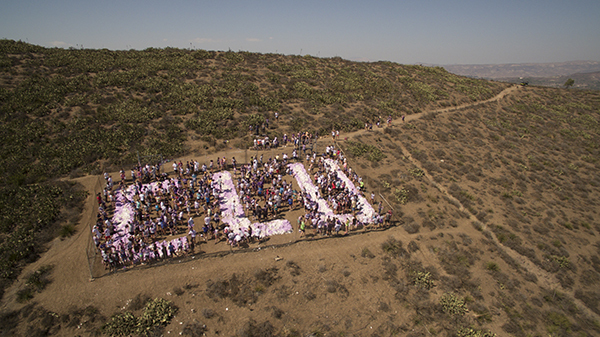 Tweaks to the CLU rocks on Mount Clef Ridge, which freshmen painted purple this August instead of white, have been made by everyone from pranksters to the Vitality Committee formed earlier this year by student life director Scott Silverman, who is not in this for laughs. “I want students to be so proud and happy about being at Cal Lu that they’re just giving 110 percent,” he says, describing the role of the staff group, which also has representatives from the Facilities, Residence Life and Alumni offices. Its task is to recognize, revive and build on campus traditions. The committee debated “purple and gold or purple, gold and white,” Silverman said, “but ultimately we settled on solid purple this year.” Students usually do some Christmas candy-striping in red and white, and new looks may be coming in future years. A brief review of old looks from years past appears on Pages 6-7 of this magazine’s interactive version.